Are you planning a stag do in Amsterdam? Modern-day Amsterdam is one of the most exciting cities in Europe to have a stag do or bachelor party. There is a plethora of exciting stag do activities, and Amsterdam stag do accommodation is always top quality. However, as always, there are few things you may want to know before you travel. As Amsterdam has become such a popular place to celebrate a special occasion in, it is vital you start planning your weekend or night with your friends in plenty of time. To ensure you are not disappointed and get the right accommodation in Amsterdam for you, it is essential you pre-book your stay as soon as you know your dates. Some types of accommodation get booked up quicker than others. This is especially important to bear in mind when you would like to stay in a more “unique” setting. It is a good idea to have a plan B if you can’t get your first choice. A popular way to experience Amsterdam is to stay on a houseboat. The advantage of choosing to stay on a houseboat in Amsterdam soon becomes obvious when you realize how many canals there are in the city. Not only does a houseboat offer independent accommodation, but many houseboats are located in central Amsterdam. This makes it the ideal base for easy access to the rest of your planned activities. There is even a houseboat hotel in Amsterdam. When you rent a houseboat in Amsterdam you will be responsible for your own food. But, as you are more than likely staying centrally, there are plenty of places around to enjoy all of your meals. You will be asked to pay a deposit when you make your houseboat reservation. The balance is also payable before you travel. 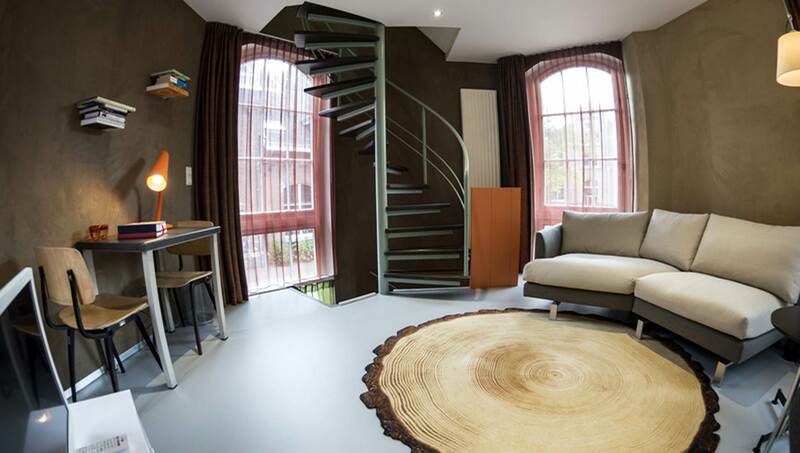 Airbnb accommodation in Amsterdam is excellent value for money. One of the best things about celebrating your stag do in Amsterdam is that the city is easy to get around in. The tram and public transport systems are some of the most reliable in Europe. This means you can stay a little bit outside the immediate city center and save some money by traveling in when you are ready to go for a night out with your friends. With Airbnb in Amsterdam, you can enjoy anything from a stay in a private house or apartment to a couple of nights on a rooftop. When you book Airbnb accommodation make sure you follow the information on the website and don’t be tempted to book directly with the homeowner. This is another rather special experience which you should consider when you plan your stay. Some of the old merchant’s houses along the canals have been turned into hotels. Staying in one will give you an insight into what it was like living in Amsterdam in years gone by. Most of the canal hotels offer modern and spacious accommodation and are well known for their personal touches. At the moment there around ten privately owned canal hotels in Amsterdam, and they offer excellent value for money. You will find breakfast is often included in the price, and some even offer dinner. However, it could be best to make sure you have back up plan for your main meal. Over the last few years, canal hotels have become popular, and early booking is a must. This is something you may want to contemplate if you enjoy the outdoors. There are about five campsites which are located close to Amsterdam city center. From most of them, you will be able to take the train directly into the center of the city. Camping Zeeburg is perhaps one of the best campsites. It is located on the island of Zeeburg in the Ijmeer. It is a perfect location for a summer stag break and offers different accommodation styles. You can stay in “wagonettes” or in eco-cabins. Of course, you can also bring your own tent. In recent years, “glamping” has become popular all over Europe and you may even want to try it yourself. Depending on your budget, you are bound to find a hotel to suit you. There are some hotels in Amsterdam that stand out more than others and can offer a variety of options. If spa facilities are important to you, you may want to consider one of the larger chain hotels. But, if you are not so concerned about facilities, it would be a good idea to check out some of the smaller boutique hotels in the center of the city. Along with smaller boutique hotels in the center of Amsterdam, you will find that there is plenty of Bed and Breakfast style accommodation available. Amsterdam stag do accommodation seldom disappoints, and if you plan it right, you will be within easy reach of a variety of suitable activities. It would be a good idea to invest in an Amsterdam City card which gives you limitless travel on public transport during your stay along with access to top attractions in Amsterdam.